Recycling electronics in Hemet is easy and efficient with All Green Electronics Recycling. 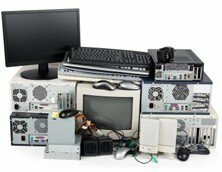 Recycling electronics in Hemet is easy and efficient with All Green Electronics Recycling. Hemet is a city located in the San Jacinto Valley region of Riverside County. It is known for being the home of the “Ramona Pageant,” California’s official outdoor play. Help keep Hemet clean and e-waste free with All Green!